Do you wear a badge reel to work? Do you love coffee? This reel has a swivel alligator clip on the back and no twist retractor. 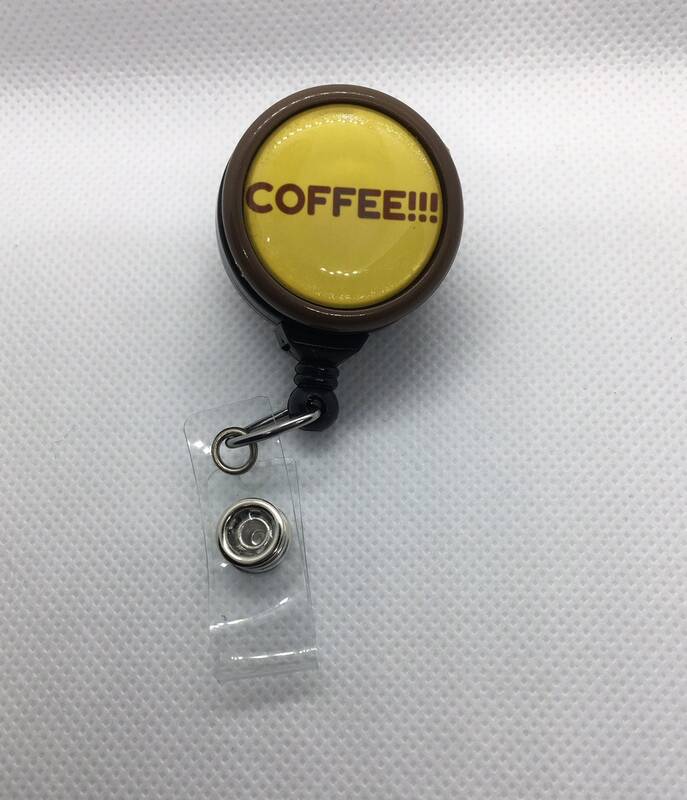 This badge reel has COFFEE!!! printed in brown with a yellow background and a brown border.